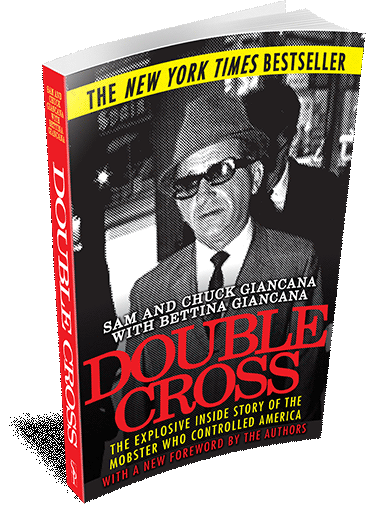 Double Cross, the New York Times bestseller, presents Sam Giancana – talented businessman, Las Vegas entrepreneur, ruthless killer, and outside player for the CIA’s dirtiest deeds. Sam “Mooney” Giancana started as a hitman for Al Capone. Brutally violent and ruthlessly ambitious, he clawed his way to the top of the Mafia hierarchy. He partied with major stars such as Frank Sinatra and Marilyn Monroe, and did business with agents from the CIA, the Vatican, Ferdinand Marcos to the Shah of Iran. When Joe Kennedy gave Giancana the chance to use mob muscle to get his son John elected, he jumped at it. But the Kennedy brothers double-crossed him, waging full-scale war on organized crime in the United States. His story changed the course of American history. Now this shocking, inside-the-syndicate tell-all reveals Giancana’s first-person testimony. Only one person knew the whole story: Giancana’s younger brother Chuck. For the first time, he tells it in its chilling, appalling entirety – regarding Giancana’s involvement in the deaths of JFK, Monroe, JFK and the CIA authorized assassination attempt on Fidel Castro. Double Cross chronicles organized crime in America throughout the 20th century, exposing its unique relationship with politics, the CIA, business, Hollywood and Las Vegas. In doing so, Double Cross provides the missing pieces of American history that investigators have been trying to uncover for years. It is simply the most revelatory body of testimony from a Mafia member ever made public.